I'm finding my way (aren't we all) in this crazy thing we call life. I've learned that the best way to find happiness is to express the inner creativity we all possess yet sometimes less often embrace. An online webmag covering music and the industry surrounding it. We post about tracks, mixes, artists and individuals all known or new with a view of spreading the word of talent we come across. I am the Business Manager at SpentShell (Music). I manage Flowdan and the day to day running of SpentShell Music. Flowdan is a veteran Grime MC known best for tracks such as 'Skeng', 'Badman City' and being a member of founding Grime crew, Roll Deep. SpentShell is a project we started to represent new artists mainly from the Grime scene where we use our collective experience to present to the masses the talent these artists possess. A couple of years ago I wrote on this blog about how much I would love to present my own radio show. It's something that has been in the back of my mind for years and years but my lack of personal confidence always stopped me from pursuing it seriously. Amazingly, off the back of that post I was invited to appear as a guest host for the TRAP93 show on Reprezent FM which was a fantastic experience at a well-run community based station that is doing great things, and seeing how supportive their environment is for it's members and the artists it features and promotes really watered my interest in the world of radio. "After going viral last year with his spoken word poem for HuffPost UK 'She Just Wanna Dance', Inja's powerful and important commentry on harrassment in club culture has been given a D+B rework by Med School young-gun Whiney." 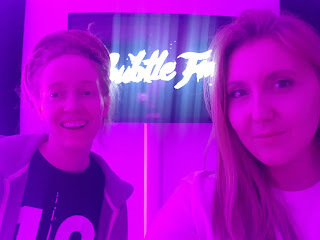 Whilst we're still starting out and getting used to the technicals (neither of us are DJs) the idea of being able to present some of the amazing music we get sent to our listeners is what helps crack the initial nerves... it's about the music and the spreading of the love first and foremost, we also stream our faces live over on facebook each show to increase the reach of the sounds. You can lock in every 4 Monday's (next one 11th Jan 2018) and in the meantime you can listen or watch back the shows and appreciate this sick music with us. 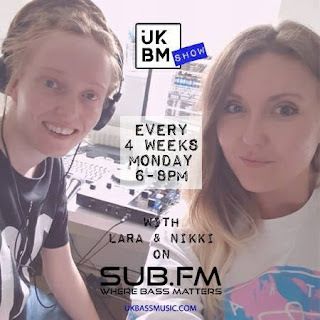 Lara and I headed down to the Subtle FM Studios to present the UK Bass Music show where we spend two hours playing and introducing some absolutely fantastic music we've been sent from musicians you may have heard of and some you may not, all is guaranteed to be amazing. This show we kept it pretty chilled, some nice melodic vibes selecting from genres such as Dubstep, Drum & Bass and Reggae. That first sight of the Amazon (Jungle & River) from the plane was such an intensely overwhelming moment. Even now I'm still in disbelief that we're actually here, it feels like a dream! I definitely maybe did a little cry when we saw the beautifully green rainforest from a distance. We had been told by the retreat that a taxi would collect us from Iquitos airport, and under no circumstance to get into any other unauthorised taxi so we found the guy holding the card with our names on and he led the way to the 'taxi'. 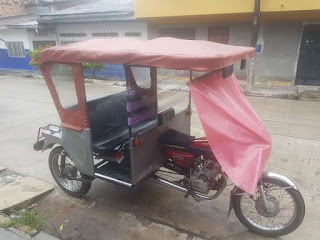 Now, this was a clear indicator of just how conditioned my mind is to certain 'luxuries' in life because can you imagine the look on our faces when this was our taxi?